Computer Science engineering, the most coveted branch of engineering across the country, deals with design, application, and management of information system of both software and hardware processes. Though Information Technology deals with the use of computers and computer software to convert,stock,process, shield, transmit, and recover information, but it is also a scientific and practical approach to computation and its applications. 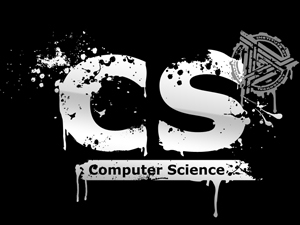 Basic difference between Computer Science and Information Technology is that CSE deals with the design and development of new software and hardware parts of computer, whereas IT aims at developing, designing, implementing, and managing computer-based information systems including software applications, and computer hardware. So when computer and communications technologies are combined, IT is the result. A computer scientist specializes in the theory of computation and the design of computational systems. You can opt for M. Tech or MS in various specializations in any of the Core Subjects like Computer architecture and organization and Database systems etc. after the B. tech. There are a lot of option available. A Computer Science engineer can work in embedded systems,database management, Telecommunication, IT, computer hardware & software implementation & maintenance, web designing, multimedia, gaming and almost all other industries in this field. It is valuable to note that the computer industry has witnessed such phenomenal growth in recent yearsthat IT majors like Infosys & TCS have been the major recruiters across all other branches throughout the engineering colleges in the country.